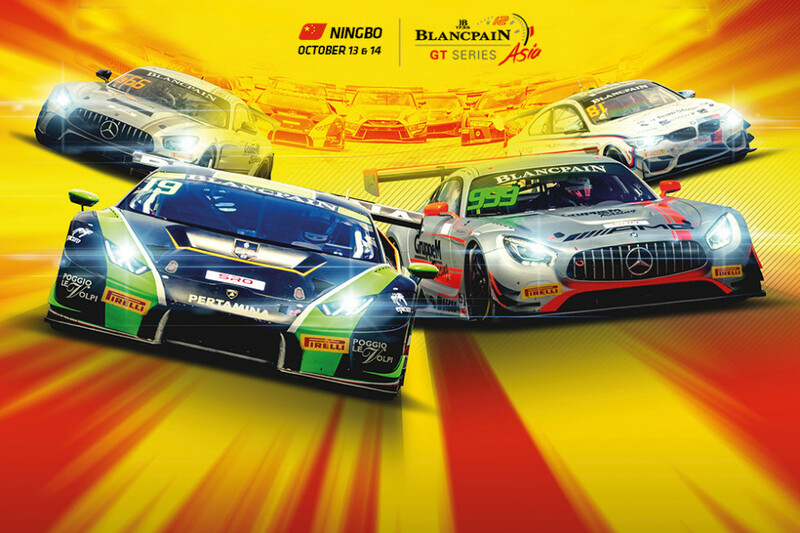 The 2018 Blancpain GT Series Asia reaches its season finale at Ningbo International Speedpark, Ningbo, China on October 13 – 14, concluding the second year of SRO-organised top-level GT racing in Asia. 27 entries will take to the grid for Rounds 11 and 12, 19 in the GT3 class and eight in the GT4 category, for two one-hour races around the 23 corners of the 4.105 kms circuit, which first opened in August 2017. There are seven changes to the GT3 entry list from the previous round at Shanghai. In the #5 Bentley Team Phoenix Racing Bentley Continental GT3 Andre Couto replaces 2017 GT3 Silver champion Marchy Lee and in the #97 Indigo Racing Mercedes-AMG GT3 Manuel Metzger replaces Juwun Seo to partner Roelof Bruins. Missing from the GT3 category from the previous round will be the #45 KCMG Audi R8 LMS, driven Naoto Taleda and Takuya Shirasaka, the #59 Singha Plan-B Absolute Racing Audi of Jingzu Sun and Bhurit Bhirombhakdi, the #66 Anstone Racing Mercedes of Massimilliano Wiser and David Chen Weian and the sister #71 entry, previously driven by Xu Wei and Naoki Yokomizo and the #8080 JR-M Porsche 991 GT3 R of Li Chao and Chris Van der Drift. In the GT4 class Justin McMillan will race as a solo driver in the #10 M Motorsport KTM X-Bow GT4 after Dean Koutsoumidis was prevented from attending due to personal commitments while Masahiko Ida partners with Leo Chang in the Taiwan Top Speed Racing Team Porsche Cayman GT4 Clubsport MR, previously driven by Jeremy Wang. Completing the changes in the GT4 entry list is the inclusion of Naomi Zhang to partner with Diana Rosario to form the first all-female driver line-up in Blancpain GT Series Asia history. With 50 points on offer to the winner over the weekend’s two races, the overall GT3 drivers title is wide open with, potentially, ten drivers with a mathematical possibility of lifting the title. With two wins, at Suzuka and Shanghai and two second places, at Sepang and Chang, the #19 FFF Racing team by ACM pairing of Dennis Lind and Martin Kodric head the standings on 135 points with the GruppeM Racing Team’s Patric Niederhauser 12 points behind on 123 points. 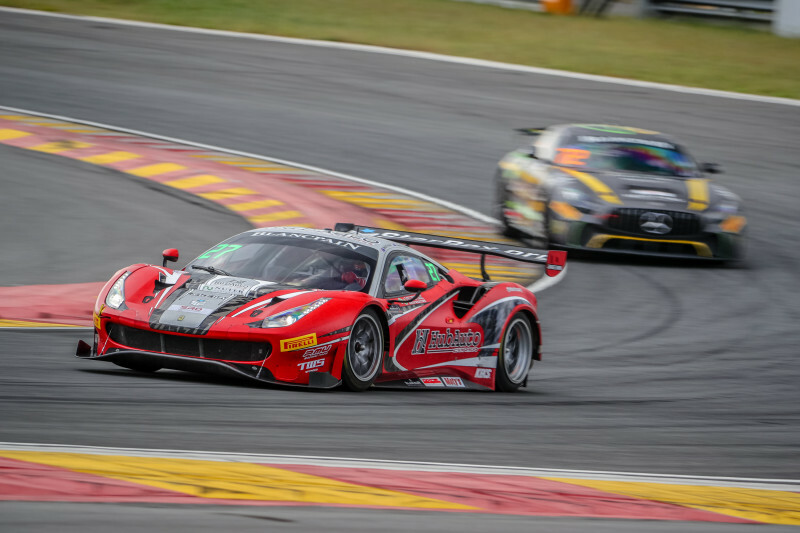 Nick Foster, driver of the #27 HubAuto Corsa Ferrari F488 GT3 is the only other driver on triple points in the standings, currently lying fourth with 115 points. 2017-Teams Champion GruppeM Racing Team head the Teams standings in the premier class on 233 points, seven points ahead of FFF Racing Team By ACM. The overall GT4 drivers standings are headed by Reinhold Renger, driver of the GruppeM Racing Team Mercedes-AMG GT4, the German driver ahead of the BMW Team Studie driver pairing of Takayuki Kinashita and Sunako Jukuchou by 11 points with Renger currently on 172 points. Ringo Chong, driver of the #72 Team iRace.Win Mercedes-AMG GT4 sits in third place in the drivers standings on 147 points. Track action for the Blancpain GT Series Asia grid gets underway at 12:40 local time (05:40 UK time) on Friday October 12 with the first practice session. The first of the two 15-minute qualifying sessions begins at 11:35 (04:35 UK time) on Saturday October 13. The lights go out for the first of the weekend’s one-hour races at 15:20 local time (08:20 UK time) on October 13 with the final round of the season getting underway on Sunday October 14 at 10:55 local time (03:55 UK time).